Take the tech wear aesthetic and throw a bit of the avant gard nods into it. 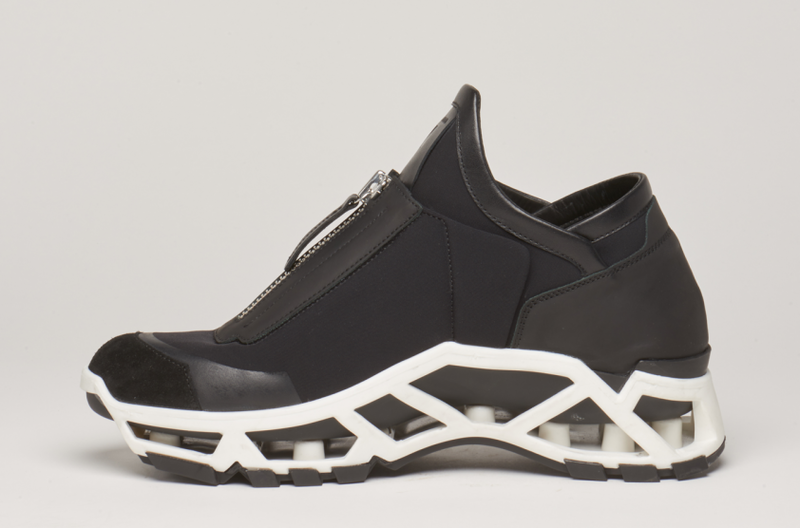 Cinzia Araia has done just that with this M CA269 Sneaker. 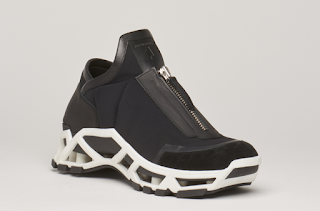 The upper features a mix of neoprene, suede and leather and features a zip-front closure. The funky sole features a cage-like formation that adds a bit of architectural function to the technical coolness of this silhouette. Pair this with joggers, cool trackies and modern sweats. Available now at CinziaAraia.com.